From exploring city planning in the ancient Mediterranean world to understanding how theater can play a role in classroom design, Vanderbilt will host a symposium on Nov. 2 bringing in experts from across campus as the university begins to develop a comprehensive land use plan. 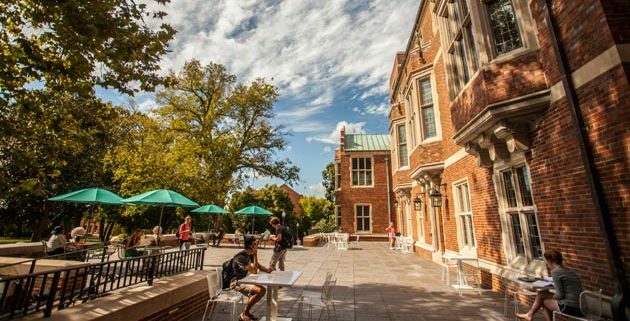 “When we take on new endeavors as a university and plan for our future, it is vital to remember that everything, from the blades of grass to our tallest building, must all center around our mission and humanistic values, which we must uphold,” Vanderbilt Chancellor Nicholas S. Zeppos said. At the Fall Faculty Assembly, Zeppos announced he would dedicate a campuswide town hall meeting on Dec. 7 to the topic of the land use plan. And in September, as part of his update on the Academic Strategic Plan, Zeppos said the university will embark on a campus land use plan over the course of the next year. The Nov. 2 symposium, which will be held in the Alumni Hall classroom from 9 a.m. until 3 p.m., will include a full roster of speakers and is open to all members of the Vanderbilt community. Among the speakers are Rogers Hall, professor and chair of the Department of Teaching and Learning; Leah Lowe, associate professor and chair of the Department of Theatre; Kevin Murphy, Andrew Mellon Chair in the Humanities and chair of the Department of History of Art; Betsey Robinson, associate professor of Roman art and architecture; Hortense Spillers, Gertrude Conaway Vanderbilt Professor of English; and Vince Durnan, director of the University School of Nashville. The symposium will be among the first steps in the process of developing a campus land use plan, which is meant to articulate a comprehensive vision for the university’s footprint and to provide a basis for campus stewardship that enhances the university’s mission, said Vice Chancellor for Administration Eric Kopstain. To help in this endeavor, Vanderbilt has selected the New Haven architecture firm Pelli Clarke Pelli, which has overseen master land use plans at other major universities around the world. All sessions will take place in Alumni Hall’s Classroom and Reading Room.